Between the 10th and 17th of September get ready to relax, unwind and let go of it all as National Spa Week returns to the UK. A celebration of all things ‘spa’, this week is intended to encourage more people to treat themselves and support some of the wonderful facilities up and down the country who are experts in rejuvenation and relaxation. As a nation, we are more stressed than ever and this is the perfect excuse to properly disconnect and recharge. As if you need any more of an excuse to book in for your favourite treatment, check out our top luxury hotel spas up and down the country. From award-winners to country manors, we guarantee you will leave these experts feeling like the best version of yourself. 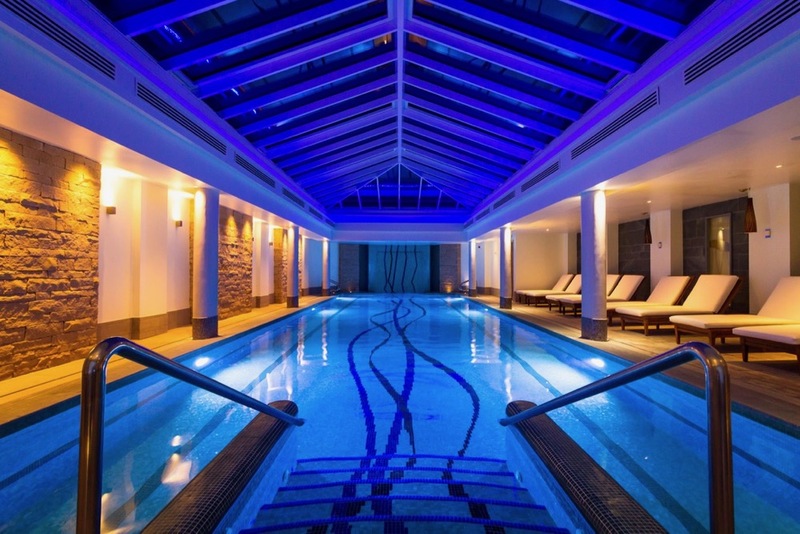 Read our guide to our favourite UK Luxury Spa Hotels. 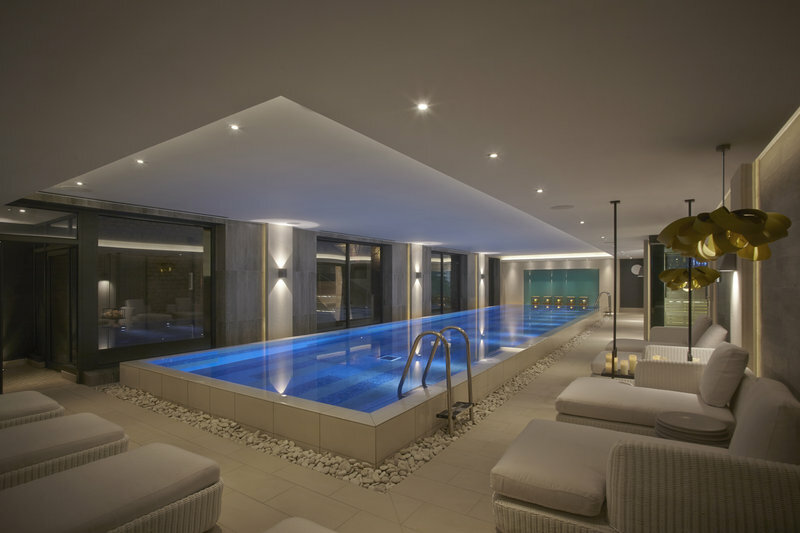 As the Winners of the Conde Nast Traveller Award for Best UK Hotel Spa this year, Chewton Glen Hotel and Spa has already making waves in the proverbial pool. Not only does this traditional country house offer the ultimate in traditional English staycations, it’s spa facilities boast Europe’s largest hydrotherapy poo, a host of aromatherapy saunas and crystal steam rooms, an ozone-treated indoor pool flanked by gorgeous Grecian columns, an outdoor heated pool in beautifully manicured gardens, a treatment menu longer than your arm, plus a golf course, tennis courts, and gym for those whose relaxation is a bit more active! Everything you could need in a spa really! 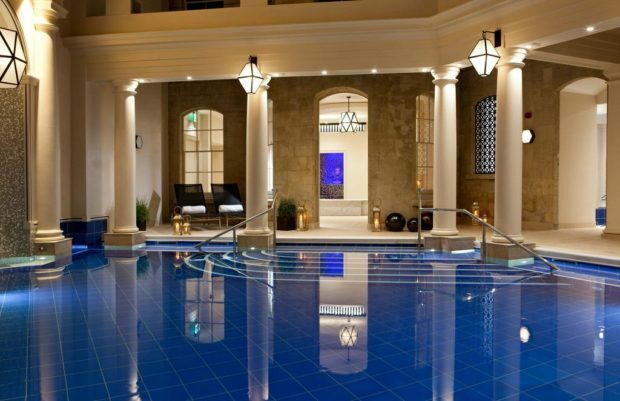 As runner-up of the Conde Nast Traveller Award for Best UK Hotel Spa, the Gainsborough Bath Spa sits only a very close second to the Chewton Glen but doesn’t lack luxury or quality for being ‘second’. The uniqueness of this beautiful spa is the incredible Romanesque spa. The Gainsborough is the only hotel spa in historic Bath with access to the city’s natural thermal waters. Take advantage of the stunning 1820s building in the centre of the city and enjoy a day wallowing in the hotel’s three substantial thermal pools. As well as the pools, saunas, steam rooms, 11-treatment rooms offering Asian-influenced therapies and a fully equipped gym mean won’t want to leave the Gainsborough and return to every-day life! What did the Roman’s ever do for us? Total escapism, that’s what! Surrounded by parkland and golf courses, Rudding Park is an idyllic country house escape in the heart of Yorkshire, a stone’s throw from the historic Harrogate. The rooftop spa is a serious contender for most interesting venue. It’s hydrotherapy pool, saunas, spa bath and steam rooms are dotted amongst chill out areas and luscious greenery. 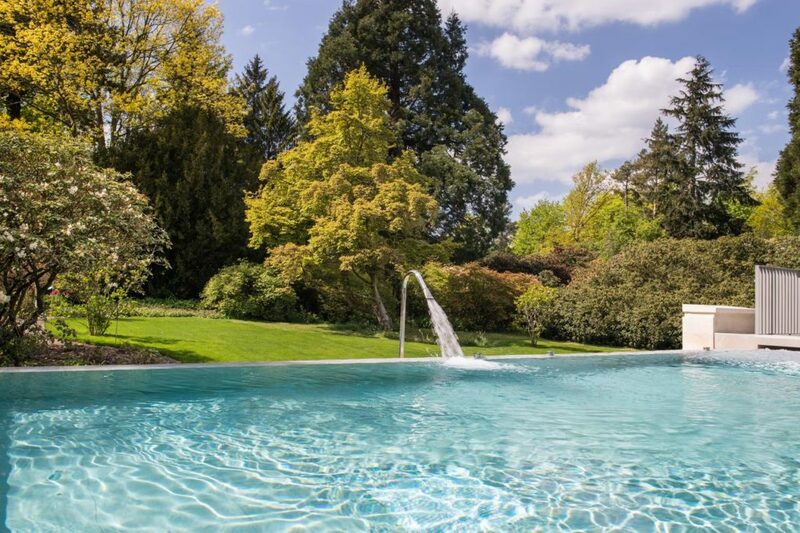 There is a high-tech relaxation area and a 17-metre pool plus fully equipped gym and woodland walks around the property, ideal for escaping from everyday life! Since opening in May 2017 the spa has won a number of awards including Best Newcomer at the Good Spa Guide Awards and Best UK Spa Hotel by the Sunday Times. Lose yourself completely with these award-winners. After a multi million pound refurbishment in 2017, the spa at The Old Course St Andrews delivers on many fronts. The new Kohler Waters Spa and Leisure centre at the renowned 5-star hotel is simple, sophisticated and without extra frills but the treatments and thermal and bathing ‘experiences’ are an absolute treat. The facility, designed by architects Sedley Place, includes 13 treatment rooms (including two couple’s rooms), two wet treatment rooms with Kohler bathing experiences, a 20m indoor swimming spa pool, a hydrotherapy pool, a steam room, experience showers, a refreshing Ice Fountain, cold plunge pool and a sauna. If that exhausting list of facilities wasn’t enough to tempt you, there is also a rooftop garden complete with hot tub and cracking views. Calcot Manor is set amongst 220 acres of glorious grounds and blends contemporary Cotswold farmhouse vibes with the appeal of a classic country house. 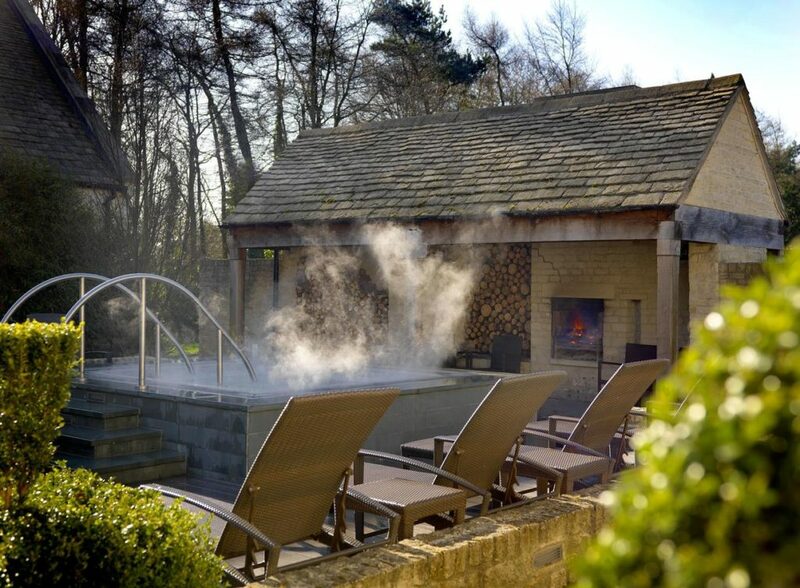 The team at Calcot Manor are known for creating a supremely tranquil atmosphere in the spa and managing the flow of guests in way that causes no stress or worries. Elemis and Aromatherapy Associates treatments attracts guests from far and wide as well as the indoor pool, whirlpool tub, sauna and more in a luscious and modern space suited for relaxed wanderings. We love to totally unwind in the lavender-lined outdoor hot tub or relax on a lounger near the open fire pit. Using both the outside and indoors, this spa is completely immersive. This refurbished farmhouse set amongst the rolling Worcestershire countryside might look quite unassuming from the outside, but offers a warm and comforting spa that packs a real friendly punch. This place will have you breathing a heavy sigh of relief as soon as you walk in thanks to the tranquil candlelit infinity pool and enjoying the fresh country air because of its amazing outdoor hydrotherapy pool. The spa also has a whole host of brilliant therapists on had to deliver some amazing total-body treatments and an in-house bar complete with wood burning stove. Definitely try the alcohol-free Nojito if you go! The whole place is looks incredible too – it’s the definition of elegant luxury!